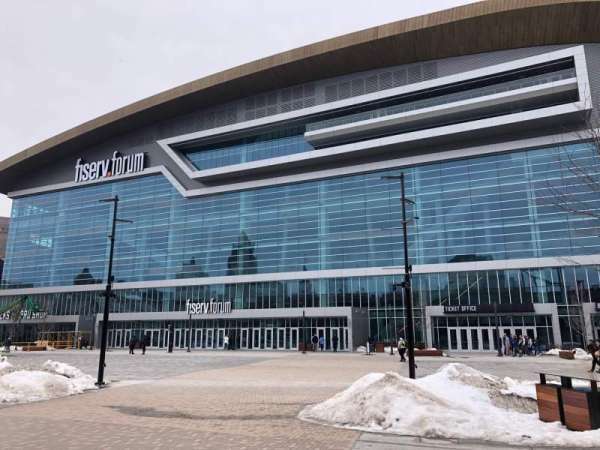 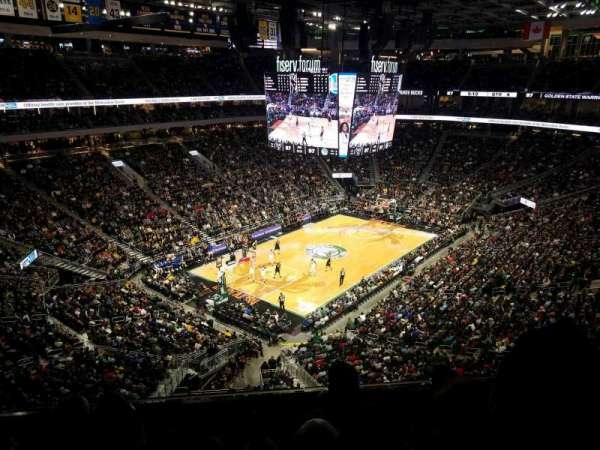 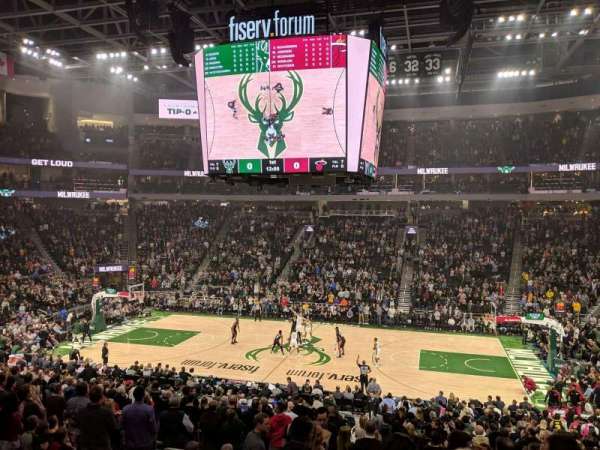 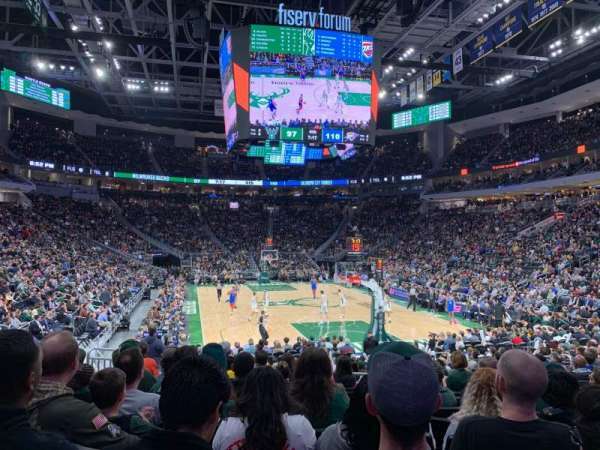 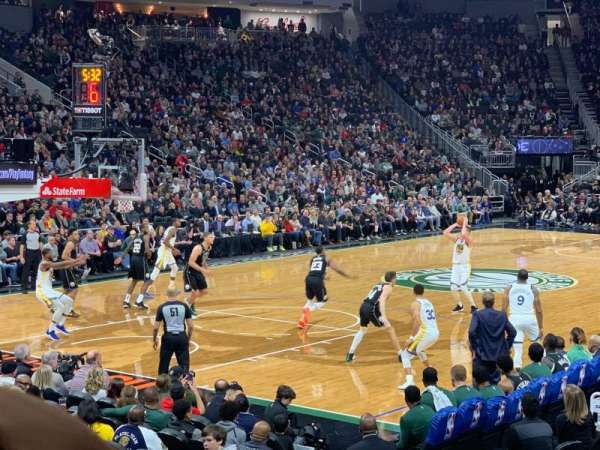 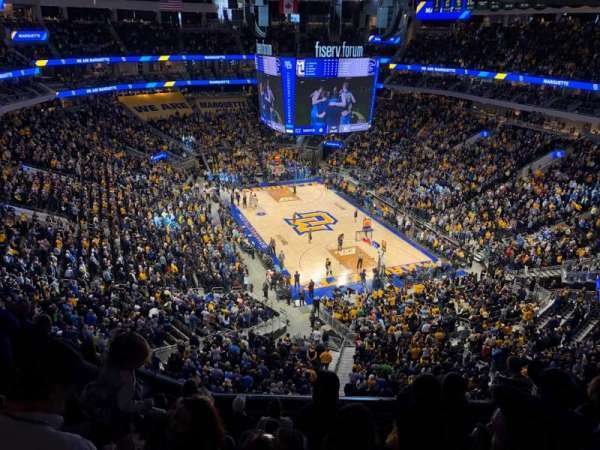 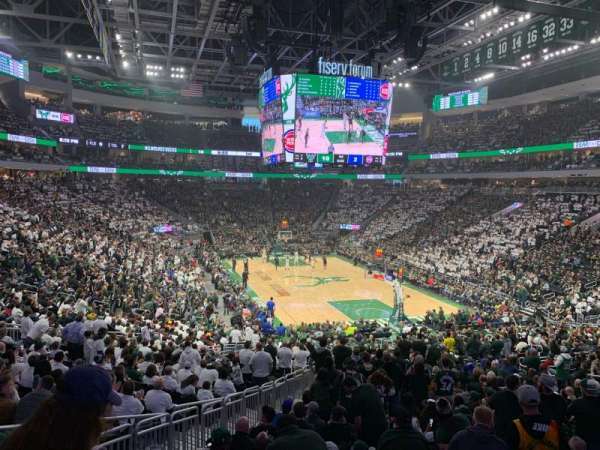 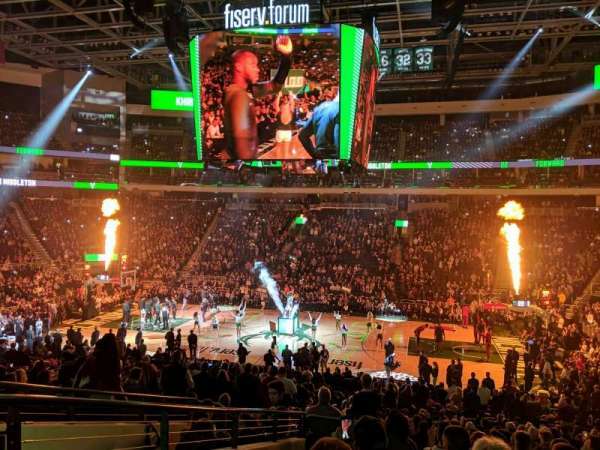 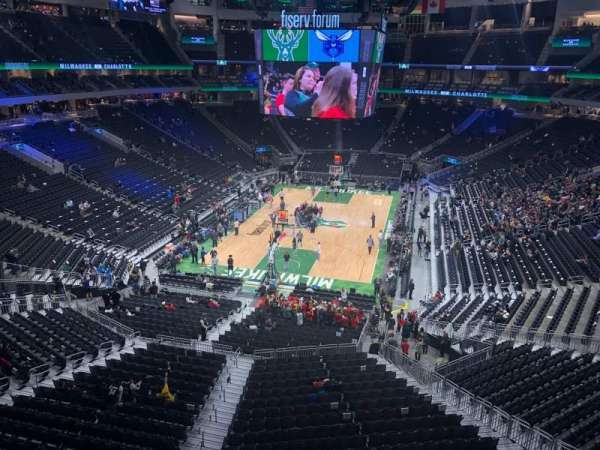 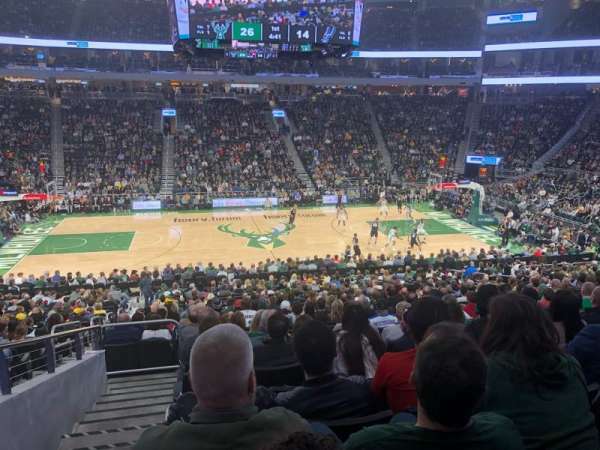 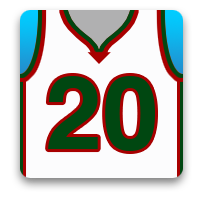 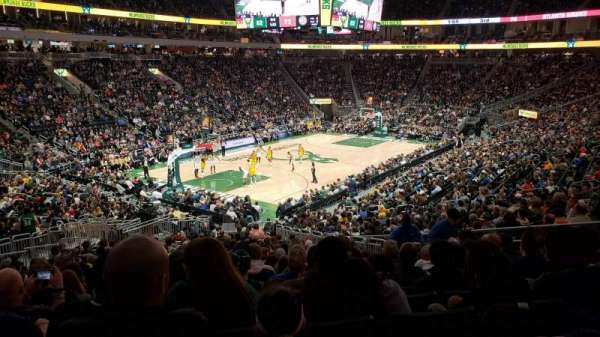 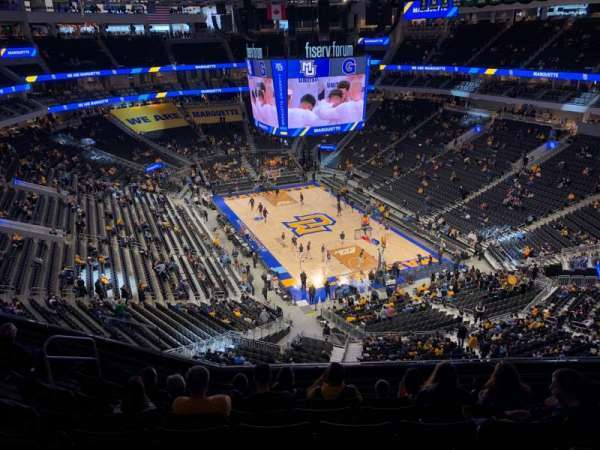 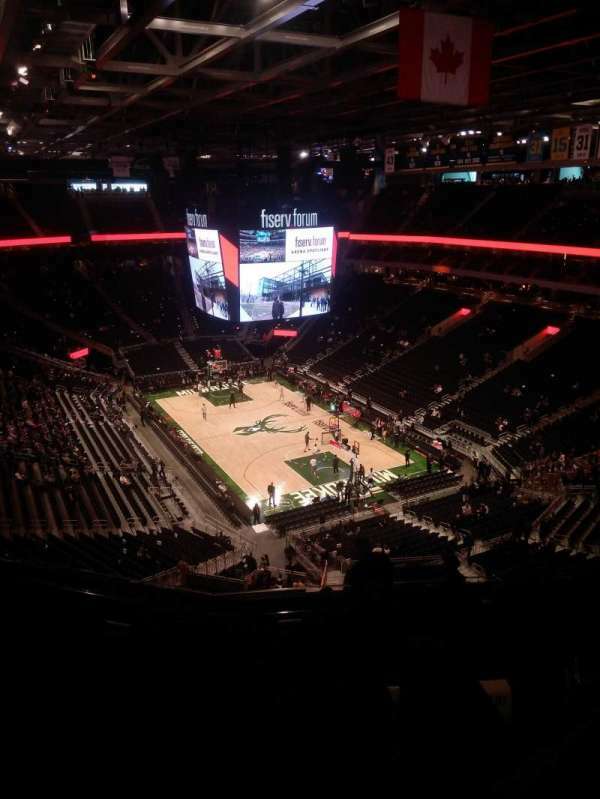 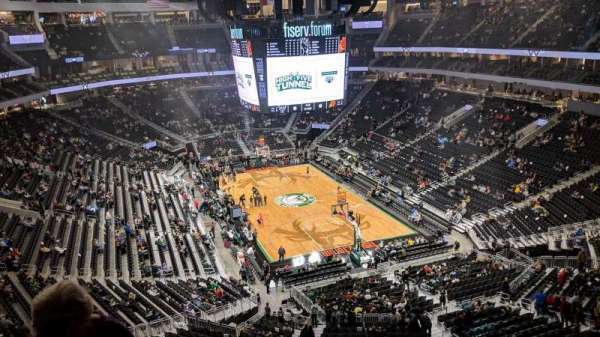 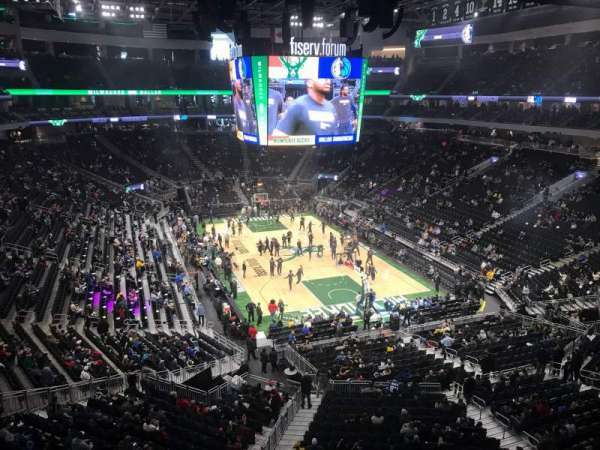 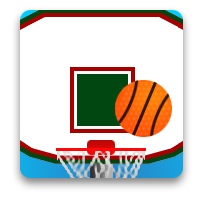 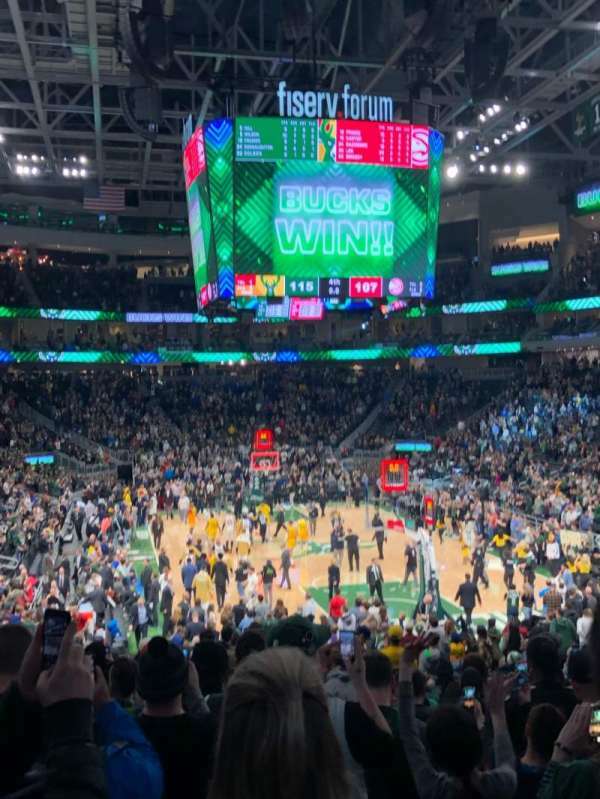 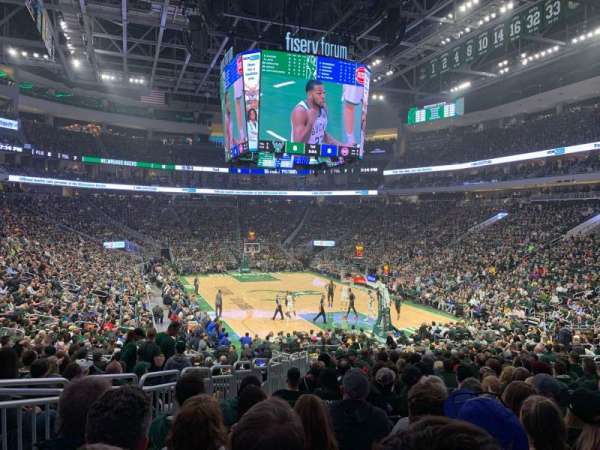 Fotos de basquetebol em Fiserv Forum. 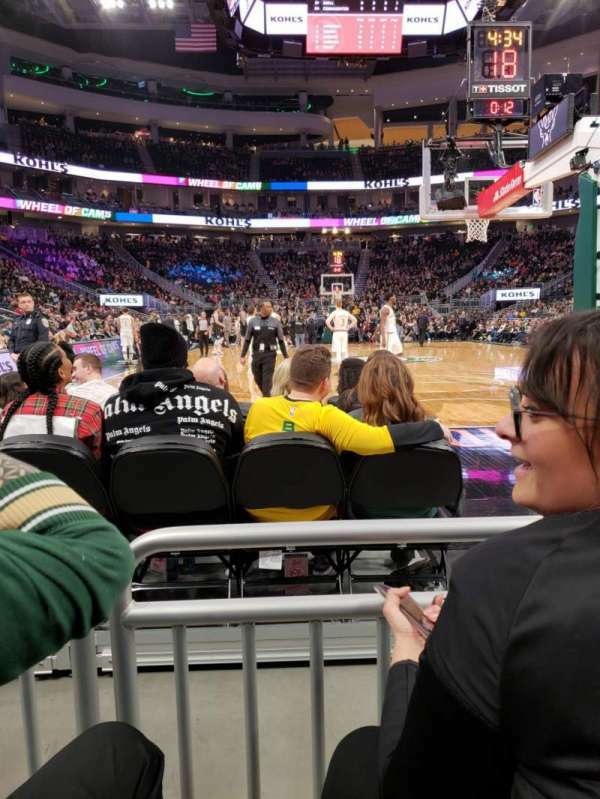 Very close to Leinenkugels booth. 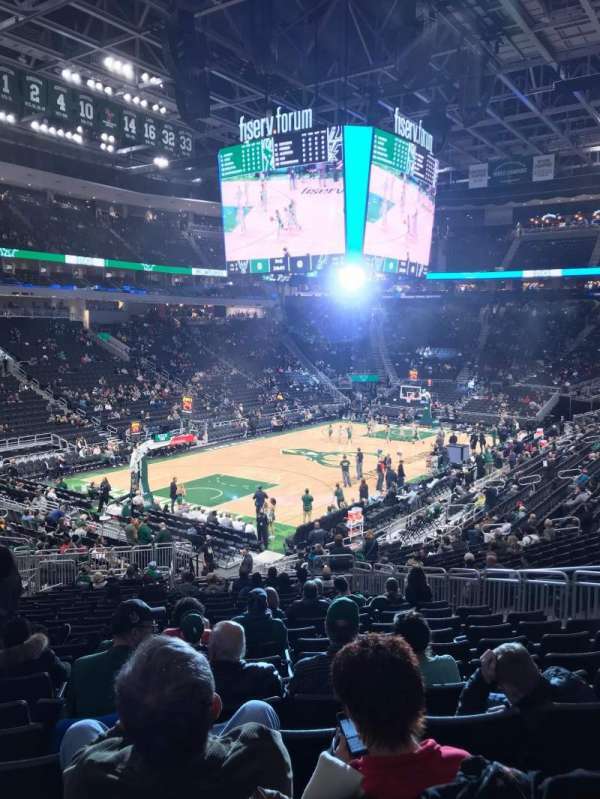 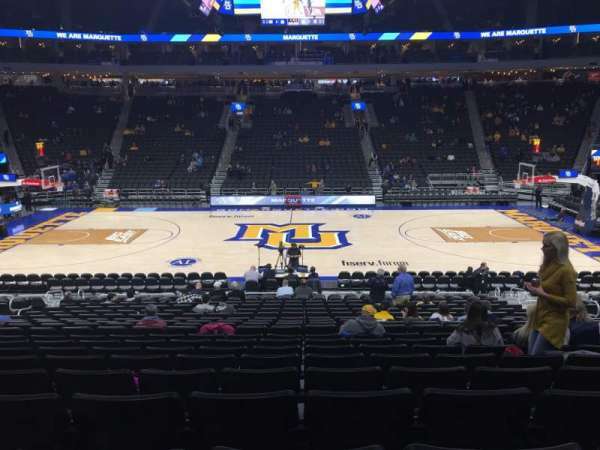 Seats were wonderful, with good vision, I could read the jerseys from this distance.